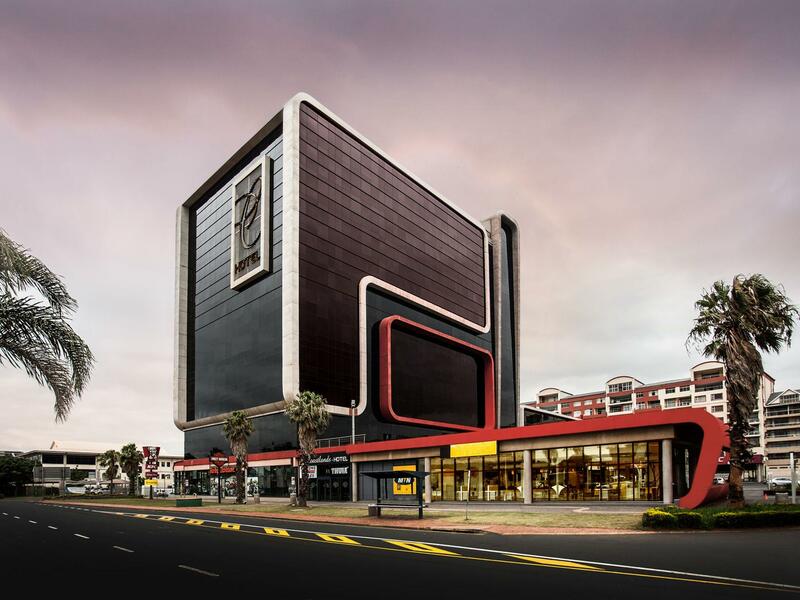 Ada soalan mengenai Coastlands Umhlanga Hotel and Convention Centre? Sama ada anda melancong atau ke luar kawasan kerana kerja, Coastlands Umhlanga Hotel and Convention Centre merupakan pilihan penginapan hebat ketika melawat Durban. Pusat bandar hanya 18 km jauhnya dan boleh sampai ke lapangan terbang dalam tempoh 15 minit. Juga terletak berdekatan adalah Hospital Umhlanga, Natal Sharks Board, Pusat Teater Barnyard. Di Coastlands Umhlanga Hotel and Convention Centre, segala usaha dilakukan untuk membuatkan tetamu berasa selesa. Oleh yang demikian, hotel ini menyediakan perkhidmatan dan kemudahan yang terbaik. Khidmat bilik 24 jam, Wi-Fi percuma semua bilik, pengawal keselamatan 24 jam, mesra kerusi roda, meja depan 24 jam merupakan beberapa kemudahan yang membezakan Coastlands Umhlanga Hotel and Convention Centre daripada hotel-hotel lain di bandar. Coastlands Umhlanga Hotel and Convention Centre mengandungi 124 bilik yang dihias indah dan menawarkan televisyen skrin rata, tuala, internet wayarles, bilik larangan merokok, penyaman udara. Senarai lengkap kemudahan rekreasi boleh didapati di hotel, termasuk pusat kecergasan, kolam renang terbuka, taman. Apa juga tujuan lawatan, Coastlands Umhlanga Hotel and Convention Centre merupakan pilihan yang terbaik bagi penginapan anda di Durban. A lot of hotels can learn from coadtlands Umhlanga . Top notch service from the check in staff to the cleaners . Everyone had a smile and was very pleasant. Breakfast was devine and Stan our waiter was a true gentleman . Rooms were spotless clean and staff came knocking to check if we needed extra towels , soaps etc... That's a first for me .. Keep up the good work . An excellent hotel !!! Thank you for choosing Coastlands Umhlanga Hotel for your recent visit. We are pleased that you were impressed by our facilities and service that you received by our staff and breakfast offering. We pride ourselves in exceeding guest expectations and we are glad that we were able to offer that to you. We look forward to your next visit. Thank you for staying at Coastlands Umhlanga Hotel. We value your feedback. unfortunately, our parking is managed by a operate entity and therefore we have to charge for parking as indicated on our Agoda listing. We look forward to welcoming you again in the near future. Thank you for staying at Coastlands Umhlanga Hotel. We value your feedback and we thank you for complimenting our rooms and service received by our staff. We look forward to welcome you again in the near future. Thank you for staying at our hotel and for your valuable review. We value your feedback and we are pleased that you had a memorable time whilst staying with us. We look forward to your next visit. Our stay was lovely and accommodating of our requirements as a family with young children. The only suggestion would be that they put microwave oven in the rooms for additional convenience. We also noticed a bit of a stench in the basement parking which they must attend to seeing that guests have to pay for parking. The room was very, very clean and modern. The staff at the front desk was very friendly, helpful and professional, Breakfast area was large and the food was just amazing.. What i didn't like was that you could hear the other person talking from the other room or they were just that loud.. But i really enjoyed my stay and Looking forward to coming back to this hotel......a home away from home 😉!!! Excellent facilities, very clean. Food was lovely. Will definitely be back in the near future. Only qualm that i have is the way the manager at the restaurant speaks to the waiters, he should speak to them in a more dignified manner. Thank you for staying at our hotel. We are pleased that you had a memorable stay and we thank you for your review. We look forward to your next visit. Thank you for staying with us. We value your feedback. We are pleased that we offered your value for money. We apologise for the inconvenience experienced with our wi-fi. We have escalated your comment to our IT department for attention. We look forward to your return visit. I was booked for 3 nights in this hotel. I stayed for 1 night and I had to leave and book a different hotel for the other 2 nights. That's how underwhelmed I was. Location is ok, however the hotel really needs some TLC. The outside area of the entrance needs to be re-painted. As a point of first sight of the hotel, it took all the excitement away. From inside the rooms, the closet space is disappointing. You can barely store a few clothes. Wooden furniture is worn out, some drawers don't open. The lamp sheds are so old that the coating is peeling off. I was on the 10th floor and the room windows were so dirty you could barely enjoy the coastline view. The breakfast selection is just ok. The kitchen does not allow for patrons to request for breakfast to be brought to your room. Negotiation with the kitchen manager was a waste and the attitude was bordering on rude. The lifts are super super slow. One can wait 3min. On the positive side, the reception staff were really friendly. We enjoyed every moment at the hotel. The staff are extremely friendly. Breakfast was awesome. All I can say is my stay was really enjoyable. Thank you for staying at Coastlands Umhlanga Hotel. We are pleased that you had a memorable stay and we look forward to welcoming you again soon. I was disappointed with the room service twice when ordering food in the evening. They took over an hour to get the food to the room. This was not at peak hour and I had to phone through twice to find out what was happening. I recommend that someone oversees this process as I believe that you can loose customers because of this. All the other staff and facilities are fantastic. I booked through agoda thinking my Japanese colleague could pay when he arrived or was leaving the Hotel. I found out after a week that when I booked I paid immediately. So Agoda gets to keep the interest on my money. The hotel said agoda does that but booking.com lets the guest pay. A home away from home. Will come back. Booking did not indicate R60 per day parking as extra. Also bottled water only provided in room for the first day. They wanted me to pay extra for bottled water for subsequent days. But overall very good hotel. Thank you for staying at Coastlands Umhlanga Hotel. We value your feedback and we look forward to your next visit. We have addressed the parking fee indication with the relevant person at Agoda and should have feedback on this soon. Our bottled water is offered complimentary on the day of arrival. We look forward to your next visit. We have had the pleasure of celebrating our wedding anniversary at this Hotel since 2015. And each year the service just gets better. So there was some confusion with the booking which James the manager at Coastlands assisted with. The room service is amazing, although the breakfast is lacking that perfect sausage or maybe some macon. Rooms are cosy with clean linen, perfect escape for the weekend. Try the Fleur de lis spa on the ground floor of the hotel, this is place is heaven. Gracious hotel staff are hard to find, but you will find them here. Which can only mean one thing, they take care of their people. Thank you to Philani for taking care of us. I have looked at other hotels, but always seem to comeback to Coastlands, you have set a standard. Thank you for choosing Coastlands Umhlanga Hotel to celebrate your wedding anniversary. We value your feedback and we are pleased that you had an overall pleasant and memorable experience. We look forward to welcome you again next your to celebrate your next wedding anniversary with you. We enjoyed our stay at the hotel but were concerned that we were put in a room inter leading to another room. After our complain, the Reception then changed our room to another more which did not have inter leading doors. The rooms were a good size and very comfy. The breakfast was delicious.